"There is a wide range of existing fallacies about veganism and vegans, you have probably heard them all countless times. The more you know about their common beliefs and the evidence of the pros and cons, the better you can understand and support the vegan in the family". This new book on the Croatian market, released by the Dvostruka Duga publishing house and Animal Friends association, is unavoidable and useful for those who are not vegan but who know somebody who is and wish to know more about the subject and improving communication with vegans. The first of November is celebrated as World Vegan Day. This was established by Louise Wallis, former president of the British Vegan Society, to draw attention to animal compassion and the promotion of the ethical, health and ecological aspects of veganism. Regarding the celebration of World Vegan Day, Animal Friends Croatia will introduce the book "Mom, Dad, I'm a Vegan" at their information stalls on Saturday, October 31, 2015, between 11 AM and 13 PM on Ban Jelacic Square in Zagreb. Psychologist Dragan Surlan and social worker Vedran Romac, who wrote the prologue to the Croatian edition of the book, will be available for conversation about the book and improving communication with vegans and vegetarians within and outside of the family. In a specially decorated "teenage room" citizens will be able to see posters with comic strips found in the book that decribe certain situations and different points of view in a humorous manner, while young vegans will be able to bring their experiences about handling the challenges of their nutritional choice and reactions of family and friends. The book can be bought in bookstores, however all those interested who are located in Croatia can get it for free by application at www.prijatelji-zivotinja.hr. "I've come to know that my vegetarianism is just a transition, that I can't support the dairy and egg industries and that cows aren't remotely as happy as pictured in commercials. Besides from animals, I am vegan also for the environment and my health, which has significantly improved. I no longer take allergy medication, I don't suffer from menstrual pain and my iron levels have never been better. 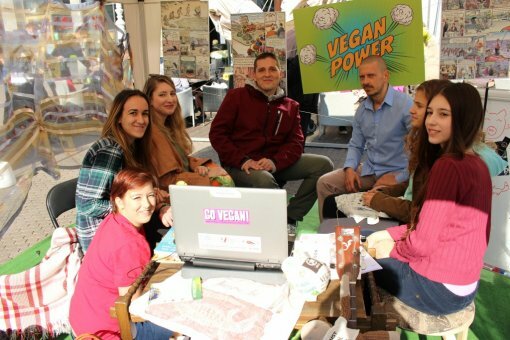 Veganism generally changed my perspective of the world, I've learned to be more patient and positive", says 19-year-old Mateja Taradi, who will take part in the book presentation. 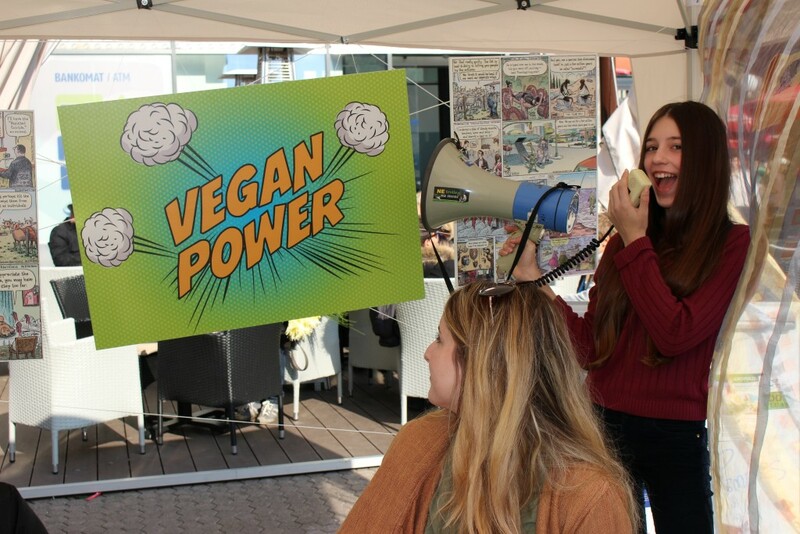 In addition, Andela Glamuzina (14), Jelena Tomic (19), Matija Jerkovic (20) i Maja Kezic (21) will be talking about how their parents and friends accepted their veganism and why it is not only a means of nutrition but also a significant change in conscience for the individual. The book will be of great help for parents as for everybody else who encounters with vegans and vegetarians. 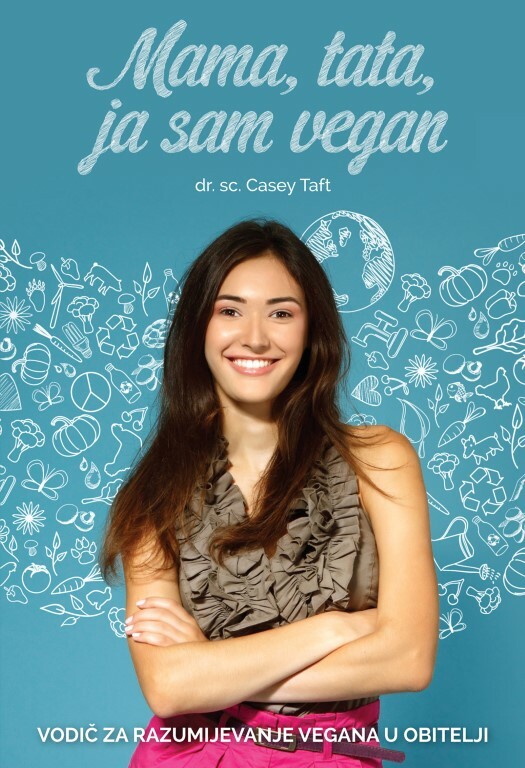 Dr. Taft on casual and approachable way quotes reasons for veganism, misconceptions about veganism and review of everyday situations that vegan of all ages encounter – pregnant women, kids, teenagers and elderly people. He also gives pratical advices how to comunicate with vegans. Many will welcome this instructions how to reduce tensions and prevent arguements between vegan and non-vegan; how to communicate with spouse or partners, how to talk with kids about veganism or how to communicate with vegans in the family during holidays and other celebrations. In the U.S., where the meat demand drastically decreases year after year, number of vegans exceeds the number of vegetarians. While the number of vegans unnstoppable grows all arount the world it also grows in Croatia. Apart of enjoying the meal, with vegan nutrition everybody saves number of animals, environment and their own health. Those who choose vegan way of life do not eat meat, fish, eggs, milk, dairy products and honey, thus they do not wear footwear and clothes made from animal skin, fur, silk and feathers. They only use cosmetics and products for cleaning that are not tested on the animals, they do not visit circus with animal shows, ZOO's and they give home to the animals instead of buying them. World Vegan Day is splendid opportunity to enjoy benefits from vegetal food with your family members, friends and colleagues as also to inform others about veganism. Becoming vital and have health benefits, start eating vegan food becomes the matter of general sustainability considering that animal exploatation is connected with huge consumption of natural resources, world hunger problem as destructing the environment. Therefore, it is important to have family members understanding for this growing movement for everybody's well-being. Veganism is so much more then food choice.